The new Gbox portable surgery diode laser system from GIGAA is the best value on the market today. 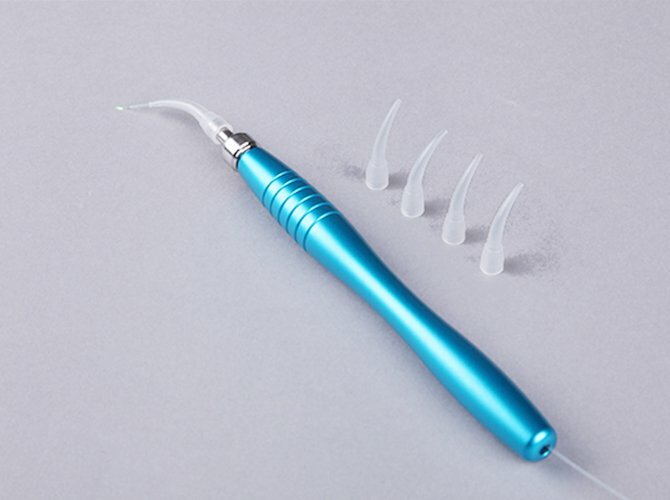 Small size body case with 15w power, this mini surgery laser system has a wavelength of 532nm, 810nm , 980nm and 1064nm for choice; it can be used in the continuous as well as pulsed mode with a contact or non contact handpiece. Comprehensive range of application accessories, with very reasonable distributor price. We provide the laser machine with full standard accessories,So the end user can work with the laser system directly. 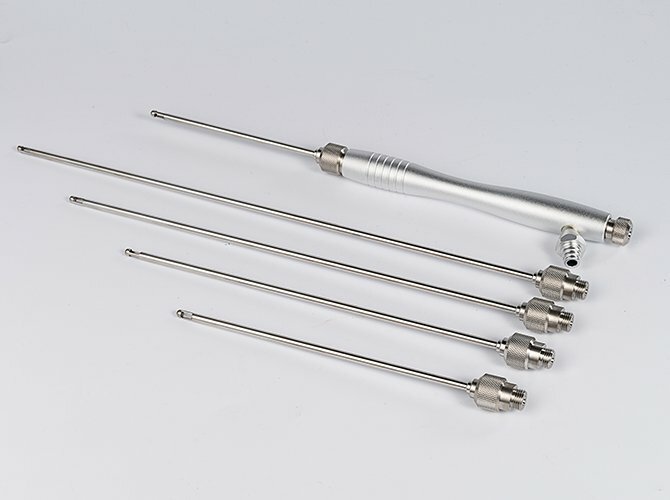 Based on the experienced R.D, administration team, Gigaalaser Focuses on the medical diode laser system and accessories for application in a wide range of medical specialties. Using the perfect Chinese resource industry, we provide the high quality and the cost effective new type medical laser systems to the clients all over the world. Advanced software with presetting protocols to be manually customized by operator such as rename the protocols, change the parameters and save it. Adjustable aiming beam (pilot light), background light and sound.Output power calibration at the end of fiber. Built-in power meter can test the power in the software by user. 20 KHz top-pulsation for a quick and tissue-protecting performance. With the accessory of 2 kinds fiber holders can make the fiber clean and convenience use. Fiber lengths of 3 meters that can do about 200 cases dental surgery if user can sterilize by himself. 15w peak output power with mini size body case: 245(L)*215(W)*315(H) mm, and light weight of only 5kg with compact structure.The whole laser system can pack in the metal portable carry case with coded lock, so the user can move it easily. Laser Therapy is used for the relief of pain, to accelerate healing and decrease inflammation. When the light source is placed against the skin, the photons penetrate several centimeters and get absorbed by the mitochondria, the energy producing part of a cell. Laser lipolysis is the latest technology in fat reduction,which uses laser to dissolve fat, the cell membranes are broken up during this process. The thin fat lysate is released and it is either resorbed naturally or extracted manually by suction. Percutaneous laser disc decompression is the use of laser thermal effect and prominent vertebral Vaporization of disc nucleus and form part of the space, reducing the pressure inside the disc, from the Reduce or eliminates the oppression of the nerve, which achieve the purpose of treatment. 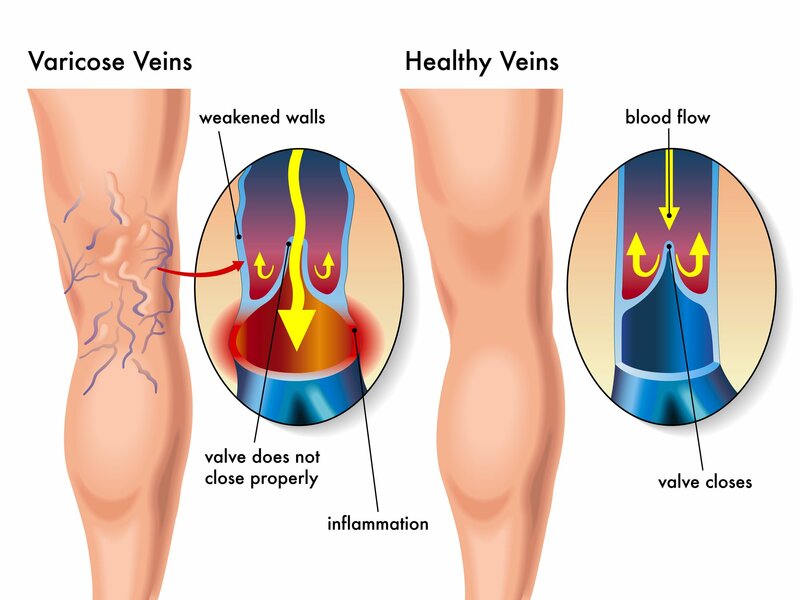 EVLA is a new method of treating varicose veins without surgery. 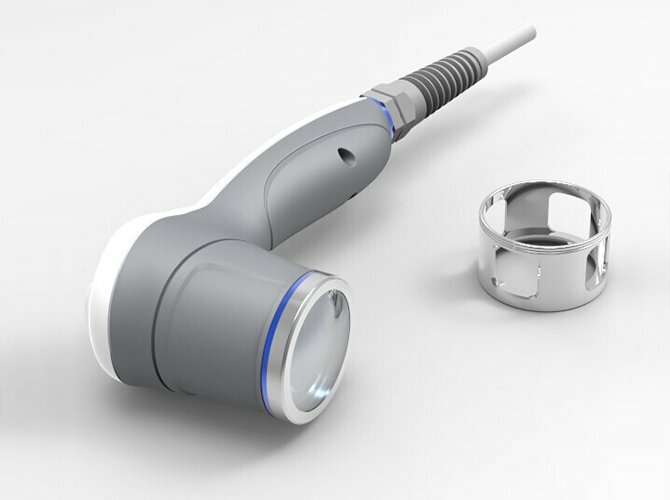 Instead of tying and removing the abnormal veins, they are heated by a laser. The heat kills the walls of the veins and the body then naturally absorbs the dead tissue and the abnormal veins are destroyed. 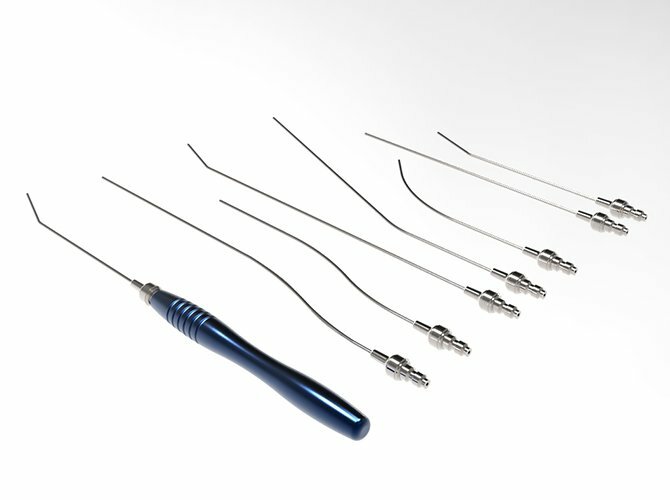 We provide you with a variety of accessories, in order to better meet your clinical needs. 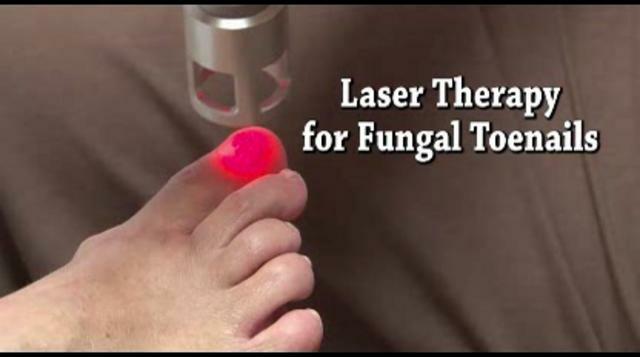 Laser Therapy is used for the relief of pain, to accelerate healing and decrease inflammation. 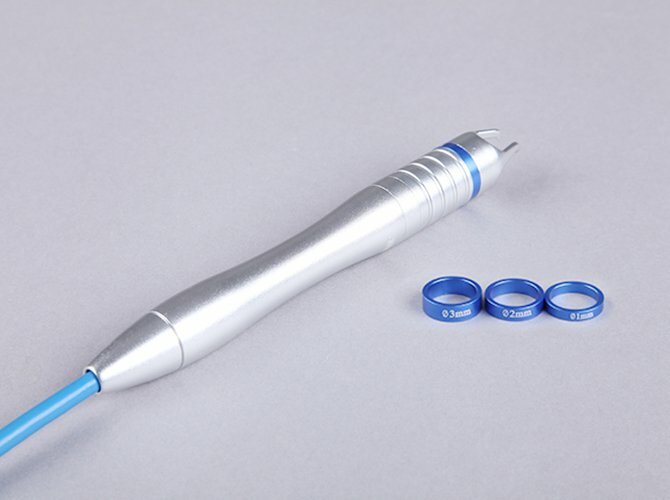 Handpieces for ENT, include 7 pieces ENT Handpieces for different application. 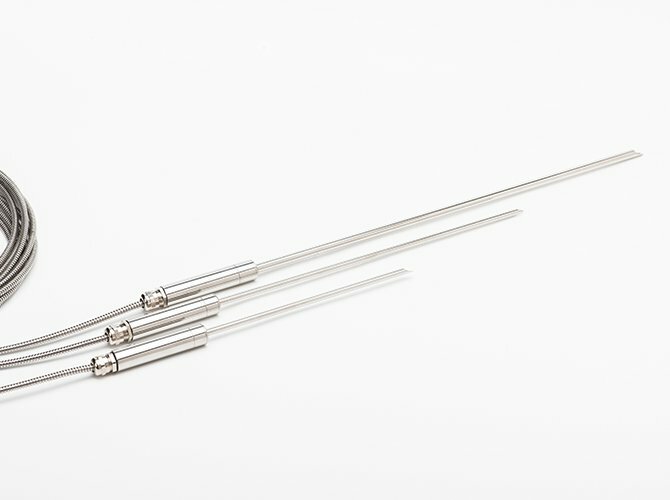 The hand-piece with 5 lengths of cannula, they can be re-sterilised up to 40 times each.